La Feuillade was the name given to our home back in the 18th century. Over the years a commune grew up around it and took the same name. La Feuillade roughly translates as the leafy grove, which is an apt description. With the bamboo groves which make you feel that you are in the Far East, the wood down by the river, the copse and the huge oak trees which need three people holding hands to encompass them, there are plenty of leaves here. We arrived here back in 2005 with plans to open a plant nursery. We encountered a significant problem in the shape of a community of approximately one billion rabbits. 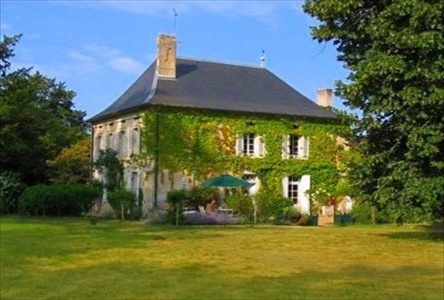 We had a cottage and the chef decided to offer it out as a gite and that's how it all began. We installed a pool, spruced up the cottage and started to tame our surroundings. After our first successful season in 2006 it was decided to convert one of the barns. The chickens were ousted, and after 8 months of hard graft we welcomed our first guests to the barn.